Because it's there... | Out of Office. OOO YEAH! 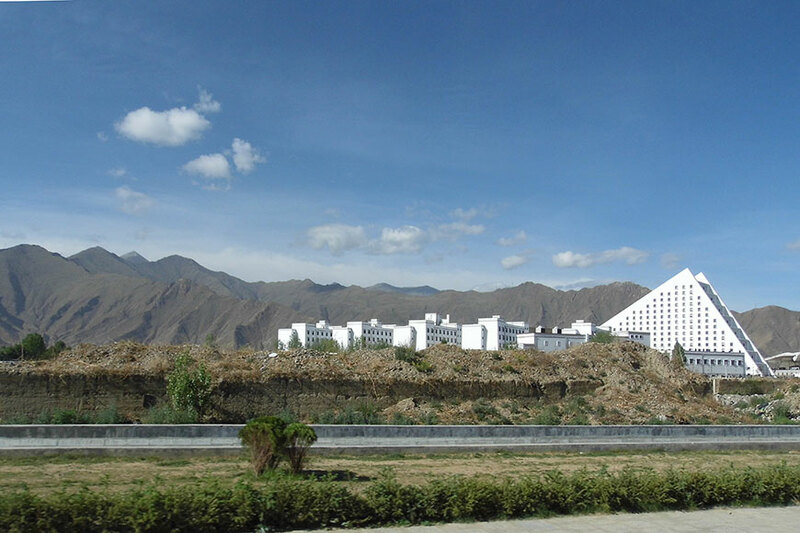 Tibet is more than just the Himalaya with its impressive mountains. First of all it´s about the people. Beautiful, heartily and courageous men and women who have lost their homeland but not their hope. 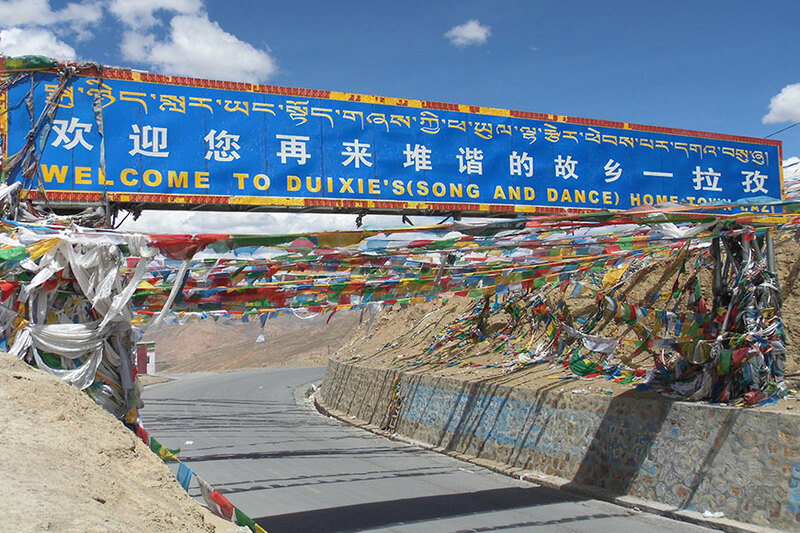 I really appreciate the chance to meet all those lovely people because no one knows how Tibet will change in future and for how long it will be possible to visit that country. As a result of the so-called Cultural Revolution lead by Chinese government in the 1960′s and 70′s most of the spiritual relics of Tibetan Buddhism were destroyed. Today some of the monasteries with its hundreds of Buddha statues are rebuild again – but still there is not even one picture of the current Dalai Lama in Tibet and the monks and nuns in the monasteries are forced to decline their faith and fellowship. But after all they are still interested in knowing about him. So there is always time for a chat … because he´s there! The Chinese government seems to fear the power of Tibetan believes. And maybe they do good to do so because faith is omnipresent in Tibet – no matter if you are on a public bus or visiting sacred places. And this spirit is prospective … just because it´s there! 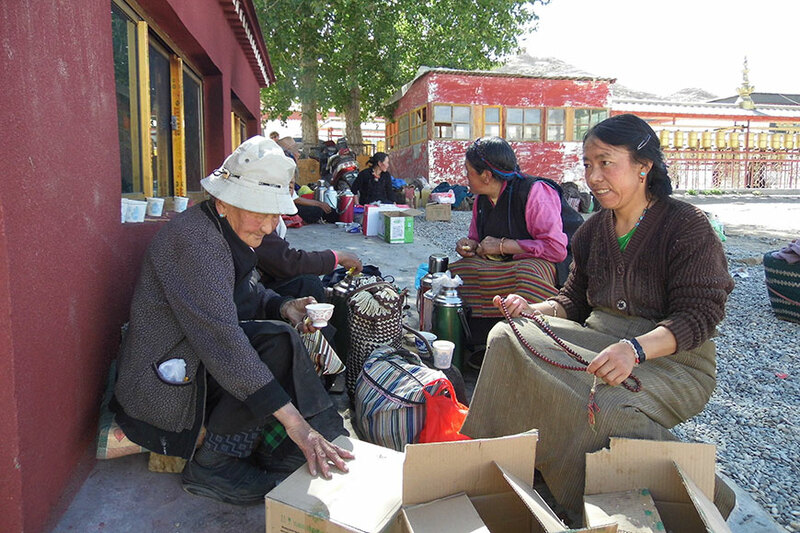 Buddhism is part of the everyday life of Tibetans but there is also a life next to the temples, of course. 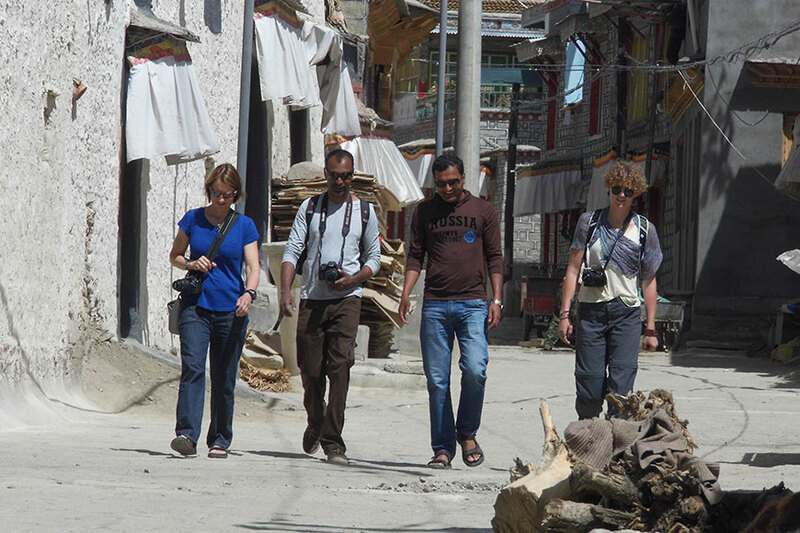 The best way to explore and take part in it is just by walking along the streets of small villages in the provinces and valleys outside of Tibet´s capital Lhasa. Wander and wonder! Is that a teapot in front of the house? 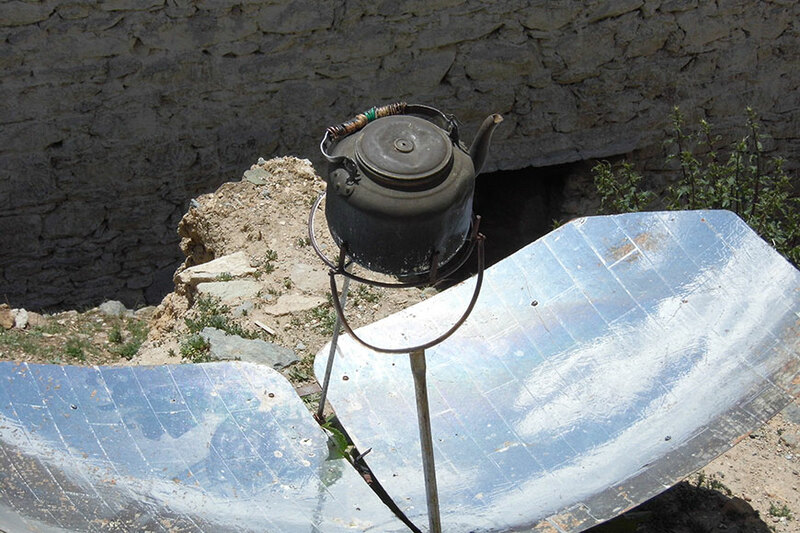 Yes, that´s how the Tibetans boil water with solar energy! On our tour we´ve also had the chance to visit a Tibetan carpet factory in Shigatse and to take a closer look on the working conditions of the employees. For sure, you cannot compare such a factory with the ones in Europe but it seems as if the women do their job with passion – and at least it is a chance to earn some money while the rest of the country is quite poor. Unfortunately, there are still way too many children bagging on the streets. 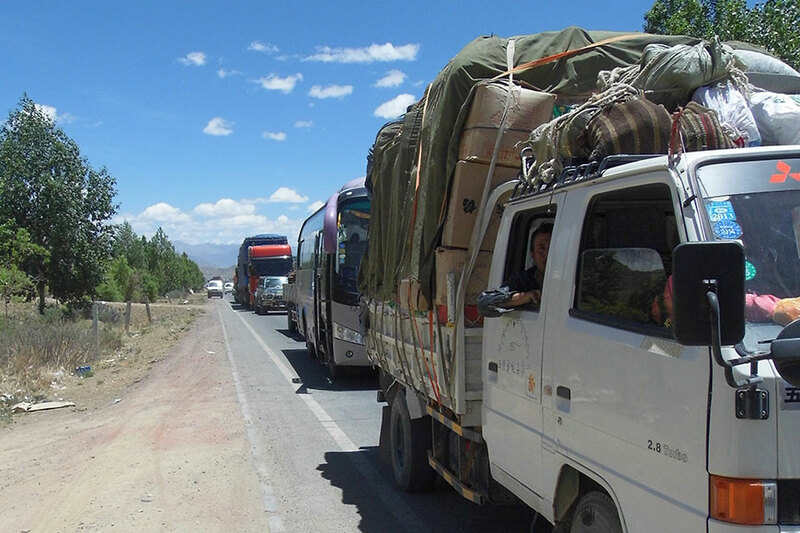 Although people will smile whenever you look at them – you cannot denial the poverty in Tibet… because it´s there. 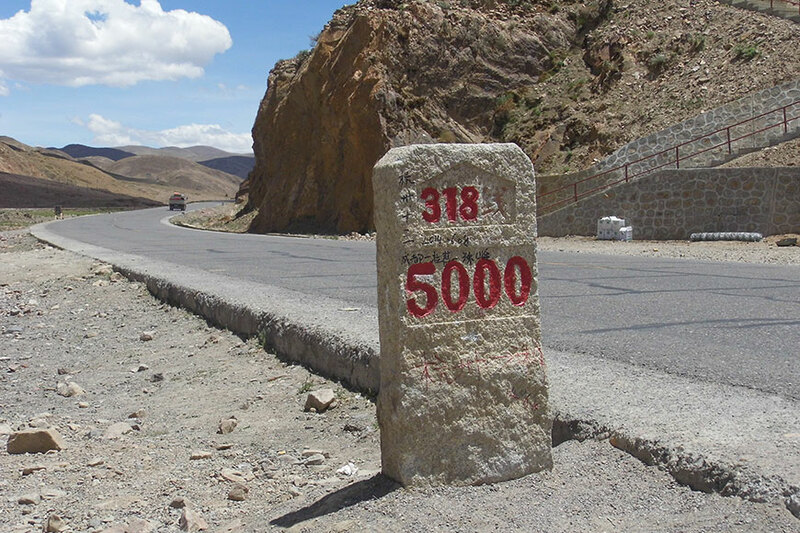 Driving along the »Friendship Highway« from Tibet to Nepal you´ll find modern houses, huge new buildings and other Chinese milestones along the road. But these are for Chinese only and this fact underlines the oppression of Tibetan culture and political autonomy massively – even if you are 5.000 km away from Beijing. That´s weird and made me sad … because it´s there – but shouldn´t! Der letzte Tag. 365 Tage danach.